September 2017 marked 24 years that I have been at McAlpine Ford Lincoln in Aurora. For about a year and a half I was the sales manager at McAlpine but other than that I have been part of the McAlpine sales team. I quite frankly didn’t like the sales managers position (glorified baby sitter) and the owners of McAlpine Ford allowed me to go back to sales. I have sold over 2,500 vehicles at McAlpine and retail, not fleet and many of my customers have become personal friends. Typically salespeople meet customers as they walk in the door of the dealership. These customers are commonly referred to as “ups” as the salesperson has to get “up” from their chair to go to the customer. I have not taken walking customers or “ups” as they are called since about the year 2000. Repeat customers, referrals and leads that come from all over southern Ontario through www.xplan.ca have kept me busy over the years. We all regularly travel 30 to 40km to go to a restaurant or a show so a short drive to Toronto from York Region is well worth the honest and consistent service I provide. I will always lay things out so your purchase is crystal clear. If you are in the Toronto York Region area I look forward to meeting you. Donway Ford Lincoln is located at 1975 Eglinton Ave East Toronto. It’s always best to call or e-mail before you come before come in and remember to ask for Andy at the reception desk. On April 8th 2010 I had the opportunity to drive the new Ford Fiesta at a Ford event held at the Powerade Center in Brampton. There were some other cars there including a Hyundai, Nissan, Toyota and a Honda. I normally don’t do the compare test drives as up till now I haven’t seen the point of it. I certainly do now! First things first. I have a bad back as so many people do these days so the top of the list for me is the driver’s seat comfort and support. The first Fiesta I drove was an SEL model with leather and when I sat in the driver’s seat I instantly knew that this was a car I could drive on a long trip and step out of the car feeling great. The seats are so comfortable you would expect them to be in a luxury vehicle. Ford had a course set up to test the cars in hard-driving conditions with lots of turns and abrupt stops. The Fiesta held to the road better than any of the competitors and drastically better than the Korean made cars. During heavy turning while driving a Korean car the power steering stopped working. We were told that this would happen before hand but I was quite shocked at how it effected my ability to steer the car. Everyone seems to be all hyped up on vehicle acceleration these days. The Ford Fiesta did a great job on acceleration but what really surprised me was its ability to stop from a high-speed. From approximately 60 km per hour I stopped in a very short distance. It really felt like I drove onto a patch of super glue on the road. The Ford Fiesta is a compact car that does not feel like one. With its quality interior and stylish exterior it’s winner and worth waiting for if you are in the market for a fuel-efficient compact car. Ford of Canada announced today a new $750 F-Series Conquest and Loyalty rebate. This new Ford incentive for F-150 to F-550 runs from April 9th to April 10th 2010. Conquest: Any customer who is a current owner or lessee (at time of F-Series sale) of a Dodge Ram 1500-3500, Dakota and Sterling Bullet, Chevrolet 1500-3500, S10, Colorado,Avalanche and Cadillac Escalade EXT, GMC 1500-3500, Sonoma and Canyon, Nissan Titan and Frontier, Toyota Tundra, Tacoma and T100, Mazda B Series, Hummer SUT and Honda Ridgeline pickup will be eligible for an additional $750 Ford F-Series Conquest Loyalty Rebate. 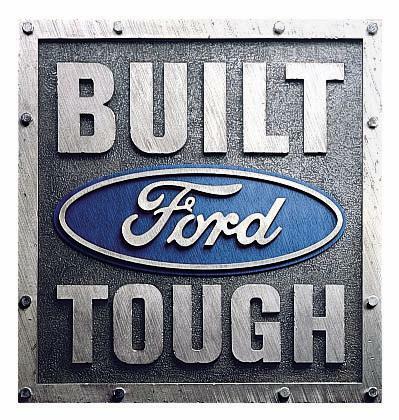 Loyalty: Any customer who is a current owner or lessee (at time of new F-Series sale) of a Ranger, Explorer Sport Trac or F-150 to F-550 will be eligible for an additional $750 Ford F-Series Conquest Loyalty Rebate. You are not required to trade in your vehicle to take advantage of this offer. This offer can be combined with your XPlan pricing. If you live in the Toronto or York Region contact me today. New incentives for the Ford vehicle line for April 2010 include an increase in delivery allowance to $3,000 for the Ford Edge SE and Flex SE models. Delivery allowance for the Taurus SE is now $4,000. The interest rates for the F-150 has dropped to 5.99% up to 60 months and 6.99% for 72 months. The certain models of the Ford Escape and Focus are the only models left with 0% financing. The Costco rebate program has concluded. The 2011 Mustang now has 3.99% interest rate for 60 months (excluding the GT500 and the V6 value leader). If you live in Toronto or York Region contact me for the details and pricing on your new Ford or Lincoln vehicle.